Showing results by author "Witold Szabłowski"
For hundreds of years, Bulgarian Gypsies trained bears to dance, welcoming them into their families and taking them on the road to perform. In the early 2000s, with the fall of Communism, they were forced to release the bears into a wildlife refuge. But even today, whenever the bears see a human, they still get up on their hind legs to dance. 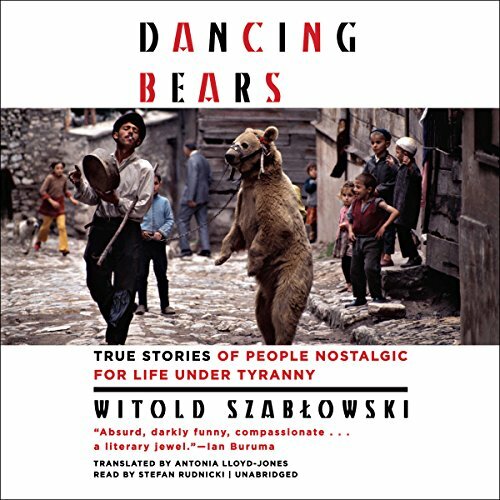 In the tradition of Ryszard Kapuściński, award-winning Polish journalist, Witold Szabłowski uncovers remarkable stories of people throughout Eastern Europe and in Cuba who, like Bulgaria’s dancing bears, are now free but who seem nostalgic for the time when they were not. Very interesting book, great narrator.